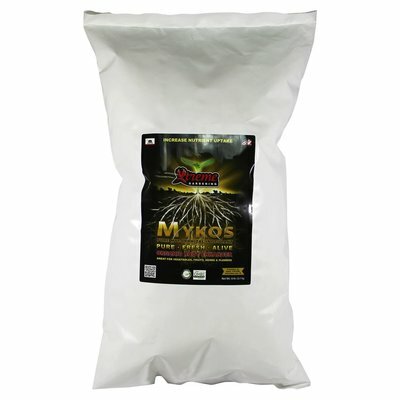 Mykos contains rhizophagus intraradices, a specific species of mycorrhizae that works faster and stronger than other strains in order to bulk up your root mass. Mycorrhizal inoculants help your plants build better roots faster and take up more nutrients! 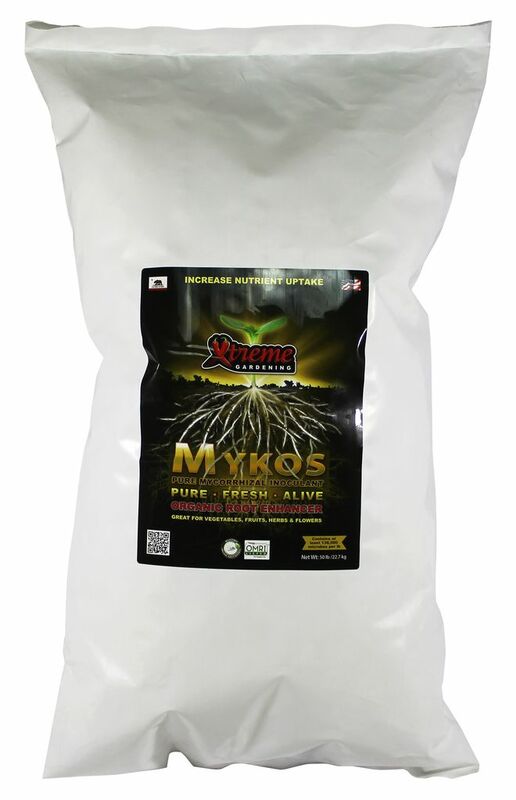 Mykos contains a species of Mycorrhizae (rhizophagus intraradices) that works faster and stronger than others strains available. If you're unfamiliar with mycorrhizae, it's a species of microbe that works with your plants to increase root mass and improve the plant's nutrient and water uptake. We all know that with more roots you can absorb more nutrients, support more vegetation, and..... you get more flowers and fruits! Mykos helps your plants produce the biggest and best fruits, vegetables, flowers and herb possible! It can also helps "jump start" new transplants and protect roots from shock, pathogens, and disease. 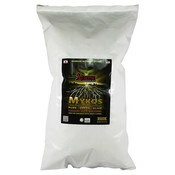 Mykos is a beneficial non-nutrient additive; it can be utilized with any nutrient line. Great for vegetables, fruits, herbs, houseplants, and anything with roots! For more information, read our blog posts about mycorrhizae! Add to hole, directly around plant roots. Mkyos must come in contact with plant roots. Set plant and backfill. Don't forget to water. 1) Using a small stage or fork, poke several small holes in the bottom of the plant hole. 2) Add 1-2 tsp to hole, directly under plant roots. 3) Set plant and remember to water. 1-2 tbsp per plant around each plant hole or directly to roots.